Have you ever thought about how many times you are caught on camera per day? Well, eyes on you almost everywhere! You are caught “in the act” on CCTV camera every day. According to reports, a Londoner is likely caught on security camera over 300 times a day, which is the highest in UK; and an American citizen can be caught on camera more than 75 times per day! How many times you are caught on camera is an open secret, if you would like to call it a secret. The big data about security cameras will tell the truth. 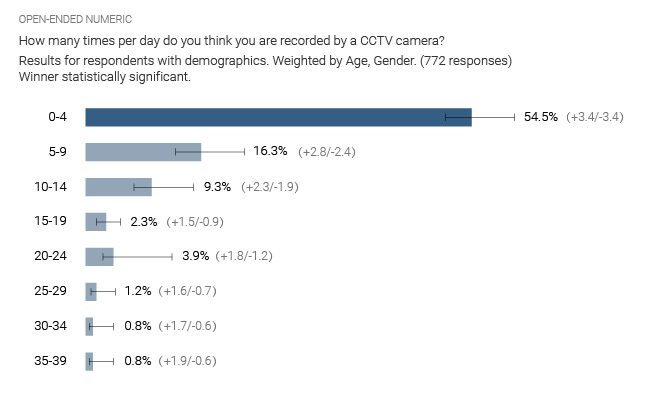 Many of you vastly underestimate how often you are recorded on CCTV cameras, according to a Google Consumer Survey study. Most of you think it is less than 10 times. “There are less than 5% chances of an average to be captured on camera per day”, many respondents have discussed about it and made the comment. That’s a big disappreciation! You may have neglected many security video cameras hotspots, like your neighbor’s outdoor surveillance, the traffic cameras, hidden lenses in the office elevator, street monitoring areas, etc. In fact, it’s understandable if you realize how many cameras are installed in America, UK, or Worldwide. In Britain, there are much more 51,600 security CCTV cameras installed, which makes about 20% percent of the world’s CCTV surveillance population. In the past few years, more than £515 million spent on CCTV security cams. 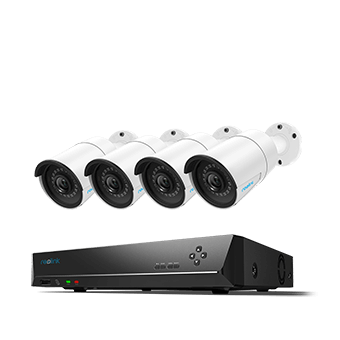 In the United States, according to the Crime Statistics and Camera Report, 95% of home security camera owners are satisfied with their security systems, and over the next five years residential automation and smart security camera systems will increase by 64%. Reports are not talking big. You are caught on security cameras much more often than you thought — but not for all the cases. 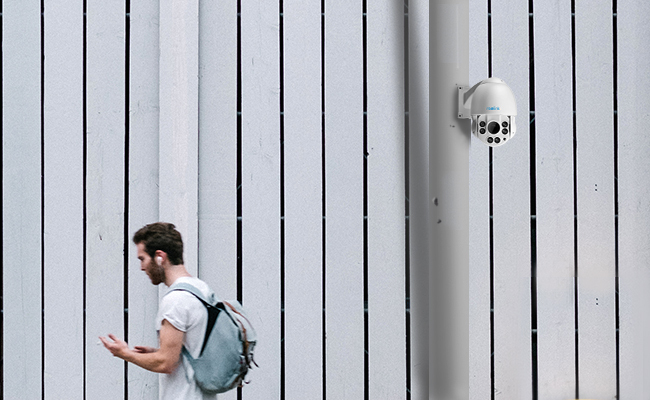 Unless you make a particular point of visiting as many CCTV hotspot areas as you can, you are unlikely to be captured on CCTV 300 times a day. For instance, if you visit the countryside or the farms, you are less likely captured so often. Many of you are caught on cameras for about 70 times and that happens mostly in workplaces, shops, or other public places with surveillance cameras installed. And the number will increase largely because more and more residents are installing home security cameras outdoors to prevent and catch burglars (see Top 10 Reasons to Install a Home Security Camera System). There is no need to worry about how many times you are caught on cameras. The very first thing you need to understand is that those surveillance cameras are meant for bad guys. Burglary, larceny, theft, motor vehicle theft, arson, shoplifting, vandalism and other crimes are the targets of the surveillance cams. FBI estimates that over two million burglaries occur in 2012 alone. That same year, there are about 121 million households in the United States, which would mean that each has roughly a 1-in-36 chance of being burglarized. Security cameras are the ideal deterrence to criminals (including the would-be criminals), not you. If you have nothing you hide, you have nothing to worry about, and even hackers won’t have you in the photographed list. This entry was posted in Home Security FAQs and tagged cctv cameras, privacy, public surveillance.